Krin McMillen (Lizzie) and Christine Wade (Laura) in Theatre Elision’s Goblin Market. There are some theatre companies that you innately root for. Theatre Elision is an exciting new company in town with a strong focus, an interesting and important mission, and a lot of energy. After debuting in May with the musical Ragtime Women, the company is back with a production of Peggy Harmon and Polly Pen’s sadly forgotten Goblin Market. This chamber operetta for two women, which played Off-Broadway in 1985, has a lot of good things going for it. It has great source material, a beautiful score, a stellar cast, and lovely visuals. It also has no business being staged in the Crane Theater. One of the fantastic illustrations by Omar Rayyan. Every space is built as a compromise between its primary mission and the other things that you want to do in it, the fulfillment of which is moderated by time, design, and money. In its current configuration, the Crane Theater has massive black curtains that cover the space’s similarly massive windows and much of the walls, blotting out the parking lot lights and sucking the sound out of the air. This has certain advantages when using amplified speech – the curtains eliminate the space’s very live and reverberant acoustic on display that made speech unintelligible when Nimbus first took possession of the space – but it is far too dry for Elision’s all-acoustic performance. Throw in a motor generating white noise and it was often very difficult to make out the poetry. This was unfortunate, because both the poetry and the performances were well worth hearing. 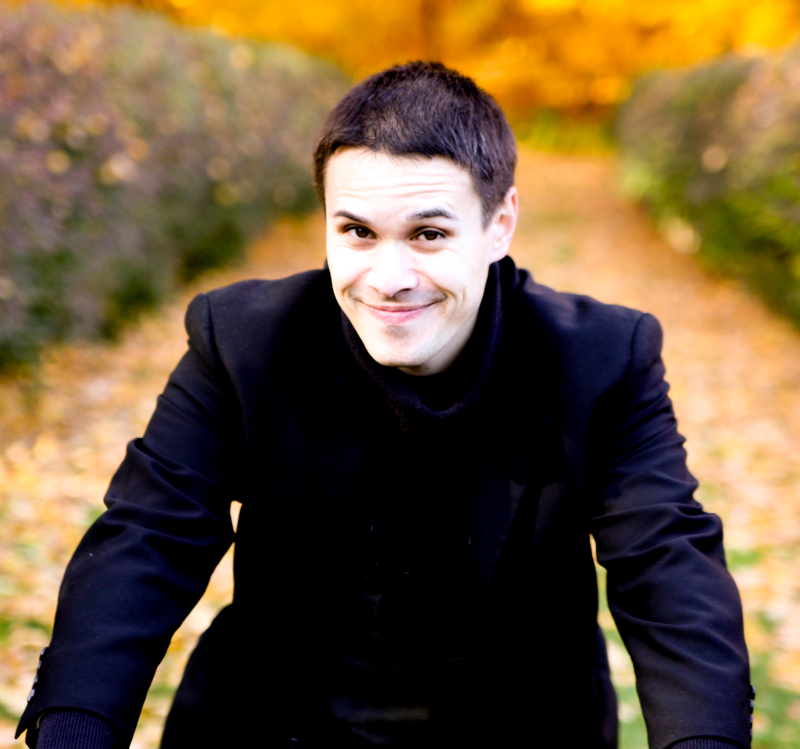 The score of Goblin Market is eclectic, dancing between folk song idioms, lieder, children’s songs, and musical theatre. This is not a bad thing; music by Brahms and others are woven in and feel like integral parts of the score. The movement and direction by Lindsay Redman is interesting and engaging, especially the various sibling games. Co-stars Christine Wade (Laura) and Krin McMillen (Lizzie) render the beautiful score with lovely voices, accompanied by a piano-violin-cello-percussion/keyboard quartet. It’s also quite short – although the usher described it as 90 minutes long, Saturday’s performance clocked in at 59 minutes, making the show a great interlude between dinner and dessert. One hopes that Theatre Elision will refine its production quality as it continues its season. While none of the elements discussed below ruined the evening, they did remove a fair bit of polish. All of the lighting is done at very steep angles, plunging the actresses’ eyes into shadows. (No lighting designer was credited, which may be the root issue.) 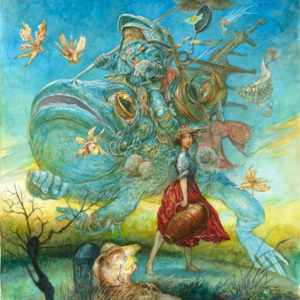 Although the production features striking projections of visuals by Omar Rayyan, a significant portion of the screen is obscured by the gossamer fabric used as a backdrop. These visuals are a major part of Elision’s production, practically a character in their own right, and covering up part of them seems positively sinful. It puts the audience in the difficult position of choosing to either see better or hear better, which is unfortunate. If Goblin Market had played on Broadway in recent years, rather than in the 1980s, it would probably be much better known than it is today. As it is, your best bet is to catch McMillen’s sweet rendition of the lullaby “Sleep, Laura, Sleep” and Wade’s humorous and catchy romp through “Mouth so Charmful” before it closes. 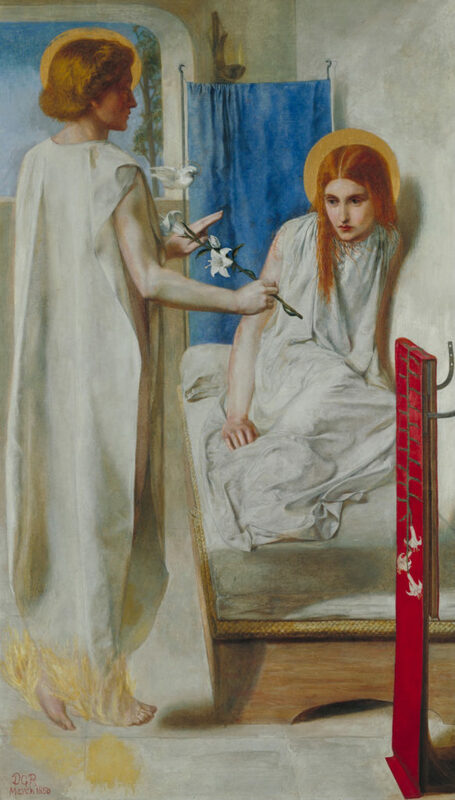 Christina Rossetti (right), as painted by Dante Gabriel Rossetti in Ecce Ancilla Domini!. Christina Rossetti, whose poem Goblin Market comprises the primary text of the operetta of the same name, was one of the most notable female poets writing in English during the Victorian period. She was also a model for many Pre-Raphaelite painters, including her brother Dante. Goblin Market closes on Sunday, October 1 at 2:30 PM at the Crane Theater in Northeast Minneapolis.